Rahul Dravid believes that the cricketers can manage their workload and deal with a tight schedule of World Cup following the IPL schedule. Former Indian cricket skipper Rahul Dravid weighed in on the debate on if players should go through such a tight workload right ahead of the ICC World Cup. Insisting that there cannot be a one-size-fits-all policy on workload management, the India A coach said that players are smart enough to know where to draw the line. The Indian Premier League (IPL), starting from 23rd March will be followed up by the ODI Cricket World Cup in May, hosted by England and Wales. Dravid said in most cases cricketers know how to handle themselves. “Most players are smart about these things. They know how to handle their body. I don’t think the players would put their body on the line. 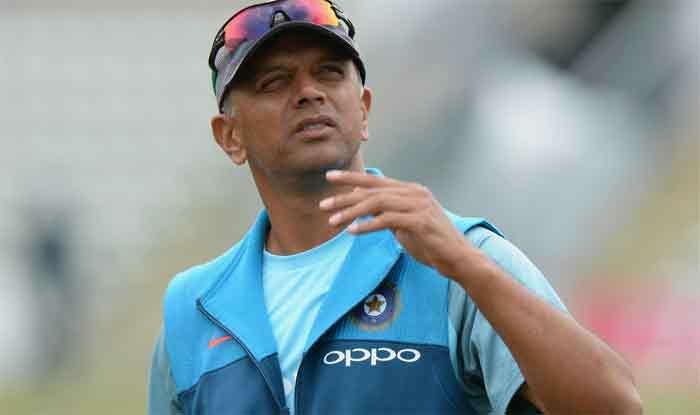 I was reading Patrick Cummins (Australia pacer) saying that he feels better bowling when he is constantly playing rather than resting and coming back,” Dravid said. “So to each player, it’s different. There cannot be a blanket case that all should be rested. We have to just trust the players. They know what needs to be done,” he added. He was speaking at the launch of ESPNCricinfo’s new metrics, Superstars, along with former India teammate Sanjay Manjrekar here. “My views won’t be appreciated. This is free enterprise. IPL is capitalism at its best. I don’t think there should be any outside interference. It should be up to the franchises. “Don’t think there should be pressure (on IPL franchises) from the Cricket Board (BCCI) (to rest some players),” the former Test batsman-turned-commentator remarked. Reflecting on India’s World Cup chances, Dravid said the 2-3 home ODI series loss to Australia recently could end up helping the cause of Virat Kohli and his men when they play in the World Cup. “I think there was a bit of notion that we are going walk there and win the World Cup easily. So it’s a good thing that has happened. What it has (the outcome against Australia) has reminded us is that we have to play the World Cup very, very well,” said Dravid. “India has performed well in the last couple of years. There was a little bit of talk that we are almost going to walk in there and win the World Cup very easily because we are the No. 1 team and we have been dominating one-day cricket for the last couple of years.